It is Friday again (HALLELUIAHTHANKTHELORD!) and the next two weeks are 3-day work weeks or 2-day work weeks. Oh yeah. Today, we share the best fruit shortcake ever. I will note that this was thrown together with whatever we had in the cupboard/fridge so know that the fruit can be interchangeable. 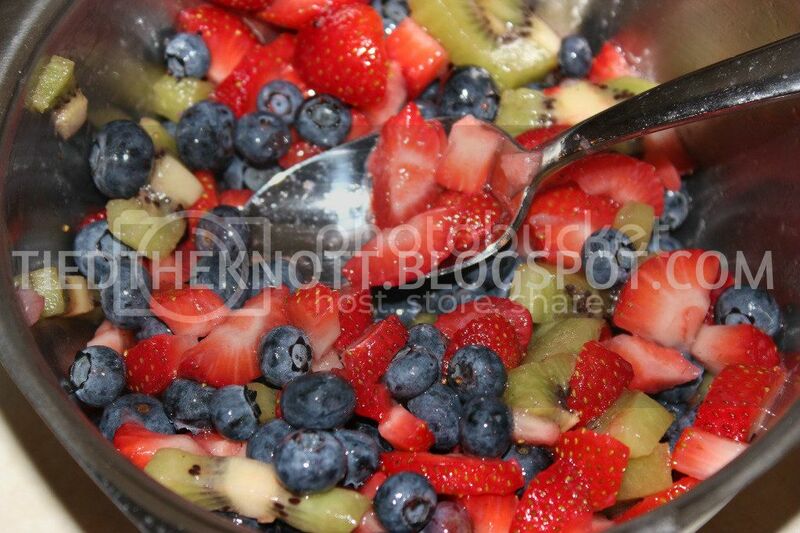 Slice and dice your kiwi and strawberries and toss 'em into a bowl with the blueberries. Throw in a tsp or so of sweetener (sugar or Splenda) and stir well. Remove shortcake cup from the plastic (classy, right?) and put on a plate. 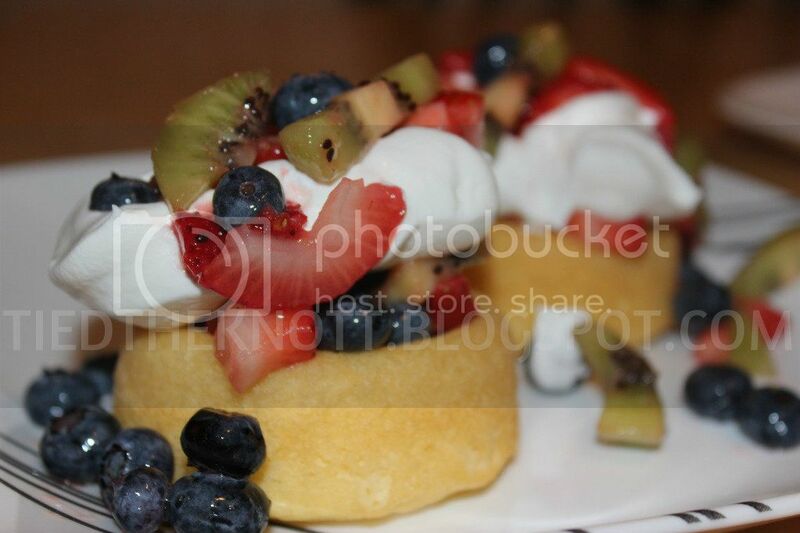 Top with fruit, Cool Whip, and more fruit. Then EAT! Delicious and beyond easy for a date-night supper. Well... and for dessert after breakfast with Tyler's parents. Dessert with breakfast? SURE!